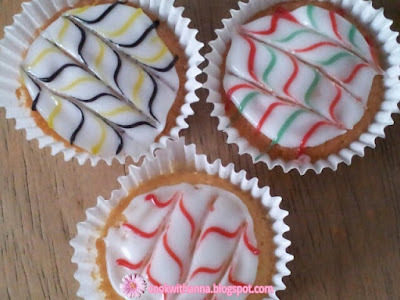 We were invited to a party on Saturday and beause we didn't wanted to go empty handed, me and my Fiancee's Nan decided to bake some cakes. 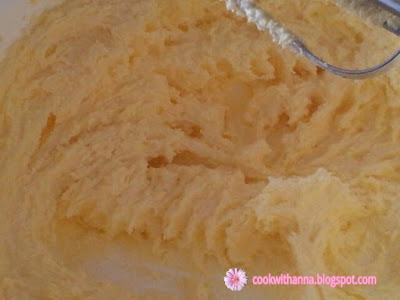 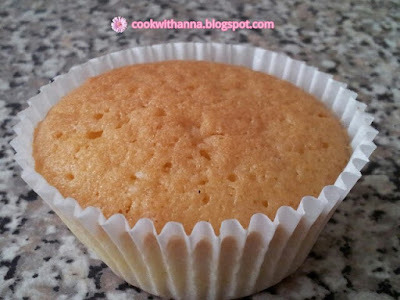 In a big bowl mix the butter with the sugar until it becomes fluffy and the sugar melts. 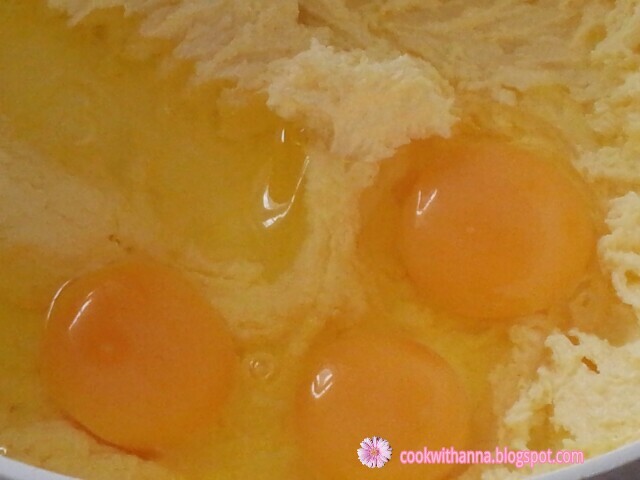 Add the eggs and vanila esence and mix everything together. 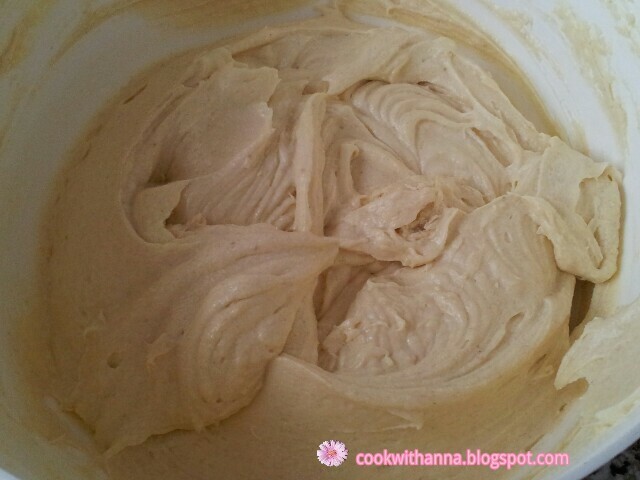 Sieve the flour and fold it in with a wooden spoon. 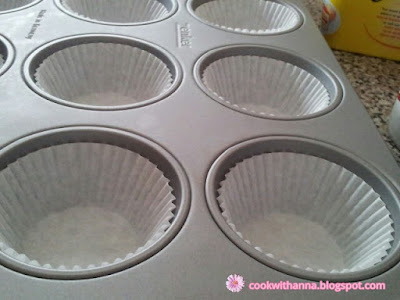 Put the paper cases in the cake tray. 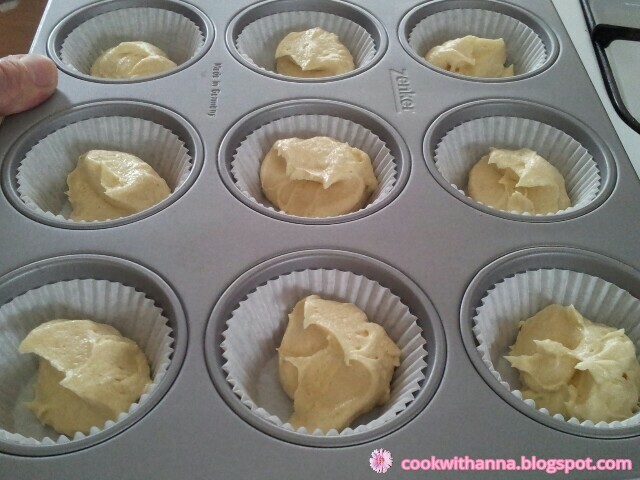 In each of the cases put a spoonful of the cake mixture. Put the tray in the oven at 190C/ gas mark 5 for 25-30 minutes or until golden. 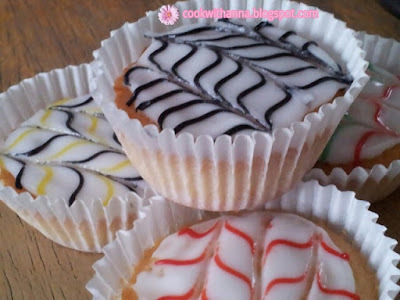 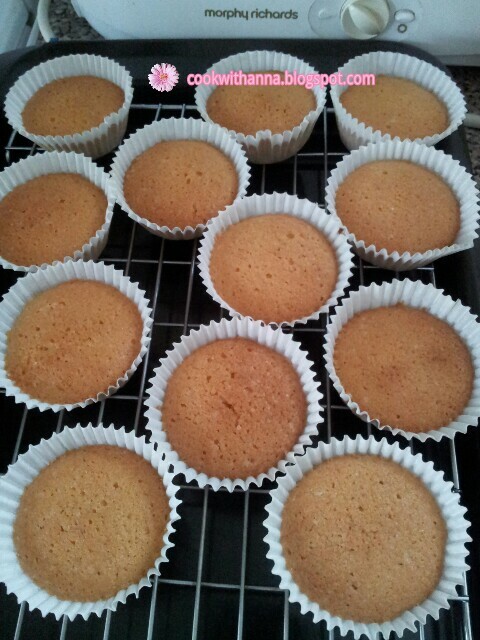 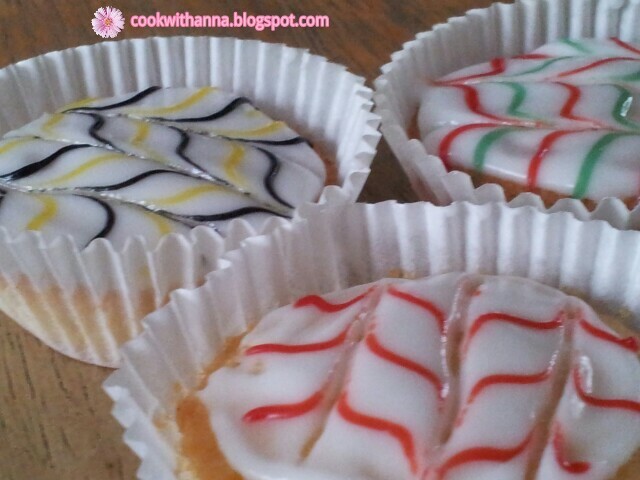 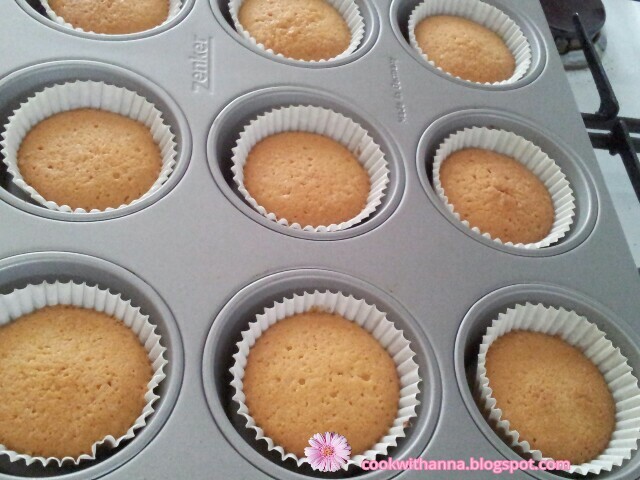 Take the cakes out of the tray and leave to cool down. Decorate as you prefer, I used a layer of icing and cherry jam.